Perhaps our greatest resource is our friendly members who among them have a wealth of knowledge of local history and many years experience in searching for ancestors. A varied collection of books, CD’s, microfiche and databases, held in our rooms provide material and ideas for local, New Zealand and overseas research. If you are unable to visit our rooms to make use of our resources please CONTACT US. Let us know what information you are wanting and we will do our best to help you. Below is a sample of the information held by Darfield Genealogy and Local History Group. 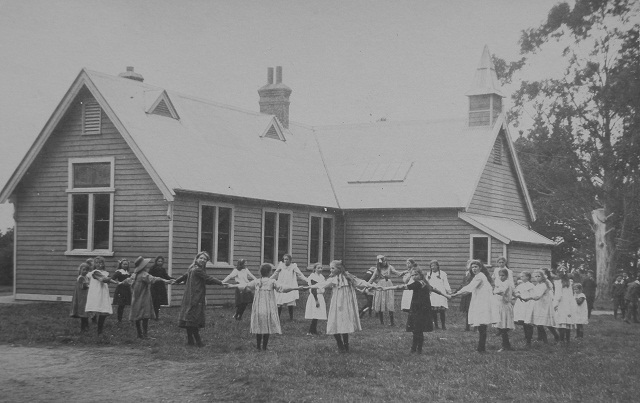 In 2010 we undertook to assist the Canterbury Branch of the New Zealand Society of Genealogists by transcribing the school registers from the wider Darfield area. We have now obtained copies of the registers held by the Canterbury Branch for these schools. An enthusiastic team meets each week to transcribe, check and enter these records in a data base, a copy of which is forwarded to the Canterbury Branch. The data copied from early books [1877-1910] contains the name and address of lodge members. It may also contain where and where born; date of marriage; name and residence of wife, parents or sibling. The districts covered are: Whitecliffs, Glentunnel and Hororata and Waddington, Sheffield, Springfield, Kowai Bush and Annat. As the soldiers project progressed it was found that we were amassing information which was not always included in the biographies. Family information is now entered on a chart which forms the basis of our Early Settlers Register. Indexing of newspaper articles, documents, book and booklets is an on going project. These indexes are then amassed into a Main Index. With progress comes change: settlements; roads and farms have seen many changes since the district was first settled. A list of the settlements, roads and farm names is being compiled along with some explanation of why they were so named, and in the case of a farm its location. Our members transcribed the headstones in the local cemeteries some years ago noting those who had lost their lives in WWI. As our members transcribed the headstones in the local cemeteries they noticed that included on some of the headstones were the names of those who had lost their lives in WW1. This led to collecting these names as well as those the District War memorials and compiling biographies of these men, many whom still have families living in the district. Members of the local community and families throughout New Zealand have become involved, supplying information, photographs, letters and diaries. Some men listed on the memorials did not have ‘roots’ in the district but were living and working here when they enlisted. There was work available on the farms, in the mines and on the railways which attracted men from within the Dominion and from Britain. 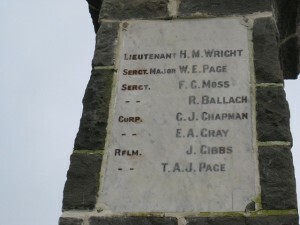 It is now known that many men from our district are not included on the memorials. Where it has been discovered that a soldier was schooled, or worked in the district he is included in our Solders Biographies. If anyone has information about any soldier who lost his life in WWI and who lived within our area (Aylesbury, Charing Cross, Hororata, Kirwee, Courtenay, Darfield, Whitecliffs, South Malvern, Glentunnel, Coalgate, Sheffield, Annat, Springfield, Kowai Bush etc.) and is willing to give us information to use in compiling these biographies we would be very grateful. Please contact us if you require information on WWI soldier from this district.